This SFP+ module is a Arista Networks compatible SFP+ transceiver that operates over Single-Mode Fiber, with a maximum reach of 80km connected via a LC connector, built to meet or exceed the OEM's specifications, and comply with MSA (Multi-Source Agreement) standards. All products are 100% functionally tested, and are guaranteed compatible. The transceivers (GBIC, SFP, SFP+, X2, XFP and XENPAK) are 100% compliant with their designed networking application, and are factory programed with OEM specific configuration data required for seamless networking compliance. 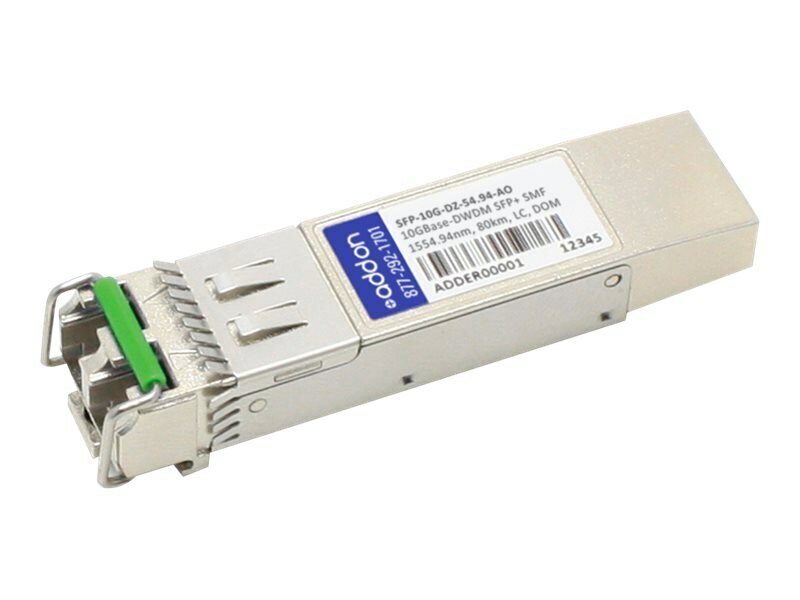 These transceivers initialize and perform identically to the OEM transceivers and can be mixed and deployed with other OEM or 3rd party transceivers, for outstanding network performance.